Dang! ...that is very generous...not something I would feel comfortable doing though. On the other hand...if you did buy an extra set of these I would find a way to pay you for one. Anybody else order one of these yet? I am curious as to what your impressions of the set and ability to get them has been. I've ordered, but yet to receive. I anxiously await. Do Not Buy the Hoyles chess set...it is not the same chess set pictured on the site. The figurines pieces do not match, it is more like the mold sets instead. 2- Can it be corrected with some work on the pieces / resculpting? 3- So, where are the chess sets they photographed for the site? They were resculpted (poorly) with slightly different bases and in more static poses. There is no wren pawn only a poor looking kingfisher and the king, instead of being waited down with chains is tall with a crown. This combined with the Queen missing her plumage on her head makes for a bigger king than queen as well. Well, I'm still sulking over the fact these turned out to not be accurate. I was so so looking forward. How about the chess set in Deckards apartment? 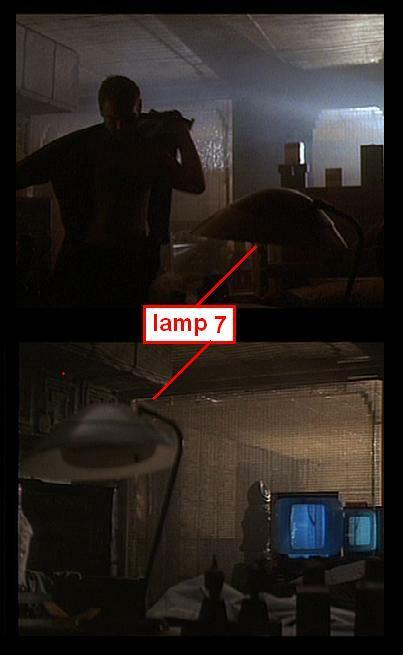 Please correct me if I am wrong, but I always assumed the partially silouetted pointed and squared-off items next to the lightolier lamp were a portion of a chess set. they are indonesian Buddha figurines and pretty common I am sure you could find them or similar at any imports store. May pick up a set off ebay just to see what can be done to them. Tyrells set looks vintage Italian or Napoleanic. I'd go Italian first. Rook/Castle is squared and arms of many figures are posed away from the body. newer sets usually incorporate arms into body sculpt as it is more economical. they would have to have known about it before I posted. I had already been talking to the Hoyles Phil S before I posted it or told anybody. It was probably common knowlage to at least the Hoyles Group, But they should at least take the picture down. Maybe they are trying to guage interest before they find a stack of them and raise the price four fold. Nothing wrong with speculation but, I think linking Blade Runner and Blade Runner Mafia to chess set availability is similar to invoking evil spirits from the dark. Be interesting to know why the guy wouldn't talk about that set. Did he openly refuse or was he only wanting to talk about what is currently available product? Anyway, how about the Tyrell set? I wish I liked Tyrell's set as much, but it doesn't thrill me as much. I have been told that it is Napolionic...but I know so little about chess sets so I can not confirm myself. Okay, so its not the BR mafia. Maybe the set is cursed, CUUUURRRSSSSED! update....the Hoyles Online site seems to be gone and there are no signs of the chess set anywhere. Something strange has happened, but not sure what or why? Anybody in England who could possibly help out with this would be appreciated.